After Apple’s iPhone keynote on September 10th, when it not only announced the iPhone 5s, but the iPhone 5c as well, the Fruit Company sent the two new handsets to a select group of journalists. And today the embargo on reviews has just been lifted, which means we are currently seeing a whole bunch of sites writing about their impressions of the new iPhones, along with iOS 7 as well. Here are a roundup of excerpts from a number of the just-released reviews in order to paint a picture of what the consensus is towards Apple’s new products. Considering iOS 7 was just released today what better place to start than here? Here is what people are saying about Apple’s radical new mobile operating system that some people hate and some people absolutely love. This reminds me of the transition from Platinum to Aqua. Remember how prominent the pinstripes were in the early days? Remember how gratuitous the transparency was? Some long-time Macintosh users were uncomfortable with the new direction, while others love it. iOS 7 is Aqua. It’s a fresh start, using new technologies which weren’t available nor practical in 2007. It’s going to change over the course of the next several years. But its foundations have been laid, and they are very strong. The iPhone 5c is Apple’s new plastic iPhone that is less expensive than the iPhone 5s and comes in a ton of bright new color options. What are people saying about this colorful new iPhone? Find out below. The iPhone 5C has the same A6 processor and the same 4-inch Retina display as the iPhone 5. Colors on the 5C’s display look warmer. It’s just slightly thicker and heavier than the iPhone 5. And while the 5C isn’t as refined-looking as the iPhone 5 or the new 5S, it isn’t a tacky plastic phone, either. I’ve tested plastic phones before, including the Samsung Galaxy S4 and the new Moto X from Motorola, and this phone feels more solid in the hand. The budget model, the new iPhone 5C, comes in five colors ($100 for the 16-gigabyte model with a two-year contract, $550 without). It’s essentially identical to last year’s iPhone 5, except that its back and sides are a single piece of plastic instead of metal and glass.Actually, “plastic” isn’t quite fair. The 5C’s case is polycarbonate, lacquered like a glossy piano. Better yet, its back edges are curved for the first time since the iPhones of 2008. You can tell by touch which way it’s facing in your pocket. It’s a terrific phone. The price is right. It will sell like hot cakes; the new iPhones go on sale Friday. But just sheathing last year’s phone in shiny plastic isn’t a stunning advance. There is absolutely no give to this phone at all. It doesn’t bend or buckle anywhere in the casing, which is what you want, obviously. It feels as solid as the 5s. The iPhone 5c doesn’t actually feel like plastic. It’s strange when you first pick it up, but it almost feels like ceramic or a similar material that is glossy and hard. The manufacturing process that Apple used to make this phone and the metal reinforcement it used in the plastic casing certainly worked on making this phone tough. We’re not going to lie. The iPhone 5c is gorgeous – we’d even argue that it’s the most beautiful iPhone since the 4 and 4s. It instantly makes the iPhone 5 and 5s look staid in comparison. To date, Apple’s choice of materials has been one of its prime differentiating factors, at least from an aesthetics point of view, vs. the Android crop of competitors. So does dipping back into a polycarbonate shell threaten the image Apple has tried so hard to cultivate? Now the moment you have been waiting for. Will the iPhone 5s live up to all of its hype? 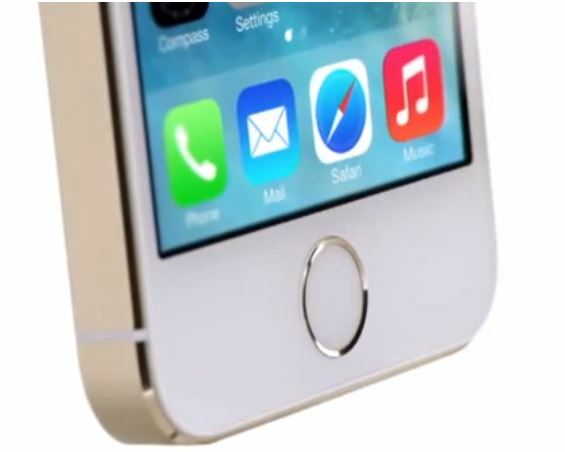 How does Touch ID work in real life? Find out now. The best part is that it actually works — every single time, in my tests. It’s nothing like the balky, infuriating fingerprint-reader efforts of earlier cellphones. It’s genuinely awesome; the haters can go jump off a pier. All my pictures were slightly sharper than on the iPhone 5 and low-light pictures were much less washed out by the flash. The camera app has been improved, with a new burst mode that takes many shots quickly and then picks the best ones, and a slow-motion video feature that lets you choose parts of an action sequence to slow down. It worked seamlessly. Setting up a fingerprint is as easy as resting your finger on the Home button and following the onscreen instructions. The button will vibrate when it’s reading; lift your finger and rest it on the button again; and repeat until it’s done. Very simple. Speed increases are something we expect with new Apple products, but the iPhone 5s goes above and beyond expectations. In addition to the faster processor, the iPhone 5s is also the world’s first 64-bit phone. These changes make the 5s up to twice as fast as the iPhone 5—that’s a significant increase. At first glance, it’s easy to dismiss the fingerprint sensor as a whiz-bang feature designed to attract eyeballs and do little else. But this isn’t that. The fingerprint sensor, unlike some other questionable recent smartphone tech like gesture control or eye-tracking, doesn’t feel like a gimmick or tech demo; it feels like a mature feature that actually enhances the overall experience of using an iPhone in a noticeable way that you encounter very frequently. First, let’s tackle the camera’s low-light performance. The shots we took with the 5s were consistently better than what we took with the 5: they were sharper, with finer details, more natural colors and far less noise. As you might expect, our daylight shots were roughly on par, though there were a few times when the 5s won out by a slight margin, offering just a little more detail. All told, the 5s plays in the same league as all those other flagships with a bigger emphasis on imaging. Even so, our sample shots still showed more noise and less detail than the same images taken with the Nokia Lumia 1020. The 5s also does a good job of reproducing color, but it’s not the best performer in this category, either. Make no mistake, though: the iPhone has been – and continues to be – great as a simple grab-and-go camera. It may not be a best-in-class performer, but the vast majority of iPhone users will still be happy. The Touch ID-enabled home button feels invisible; it works with a tap, can recognize your finger from many angles, and feels like it has less of a fail rate than fingerprint sensors I’ve used on laptops. It’s impressive tech. It worked on all my fingers, and even my toe (I was curious). There you have it! For the most part everything said about the iPhone 5s, iPhone 5c and iOS 7 has been positive, but it is obviously going to be in the hands of the consumer on how these new products really fare on the market. As a reminder you can pre-order the iPhone 5c right now and it will be available in-stores on Friday. The iPhone 5s is unavailable to pre-order, but will also be available Friday. As for iOS 7 it has already been released and is available to download. Thanks, I asked for test result of these product earlier this week and now here it is. About the 5s camera I appreciate the results on this issue by Myriam Joire, Engadget. I wondered about the 5s camera in comparison to Nokia 925 and 1020 (the king of mobile cameras). It seems Nokia remains the unbeaten champion. But really who will notice and how much will it matter?